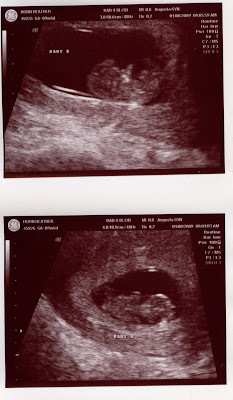 Here they are at 9 weeks and 6 days...According to the Ultrasound lady they are looking less like tadpoles and more like babies!!! Since we have twins we have an ultrasound with every doctor visit. We love having all the pictures which is great for the scrap book!